Now that winter has passed, it is good time to focus on detoxification. In the winter, we are less active, tend to sweat less, and therefore can have slower elimination of toxins. In fact, it is an Arkansas tradition among some old-timers to do a spring cleanse. One traditional Arkansas herb was sassafras, but since there is some controversy about sassafras, I thought I would pick another herb to focus on: Burdock. Burdock is originally from Europe, but it now also grows here as you may have learned if you have ever encountered its huge burrs. But it is not the burrs we want; it is the root we can use for detoxification. The general idea behind detoxification is to get things flowing so toxins are carried out of the body. The advantage of burdock is it improves the elimination of toxins by several means, but it does all of them gently. Burdock has some gentle laxative effects on the bowels and is a mild diuretic for the kidneys. In addition to these actions, it stimulates the release of bile from the gallbladder. Bile carries neutralized toxins from the liver into the bowels. Burdock’s gentle laxative action helps make sure the toxins don’t linger too long in the bowels. Burdock also increases the movement of lymphatic fluids that carry toxins away from our cells. Because of all of these benefits, burdock has a reputation for helping many types of skin conditions, which are often a reflection of issues deeper in the body like toxicity. Since it isn’t a harsh detoxifying agent, burdock can be used long term to help contribute to a healthier you. 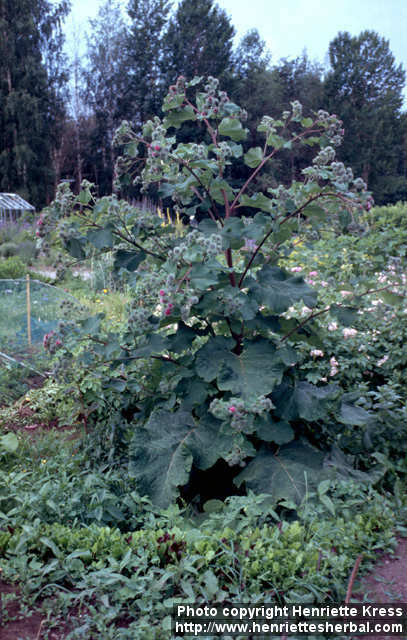 Another great things about burdock it is available as a dietary supplement or as a food. Burdock can be a great addition to stir-fry or stew, so consider making burdock a part of your life. This entry was posted in Health and tagged burdock, detoxification, skin problems. Bookmark the permalink.